Kim Jaejoong of JYJ is almost an exact image of Light from Death Note. The mysterious aesthetic that both people have matches their attractive features. Both have an outrageously energetic character and not only that they even look similar too!! 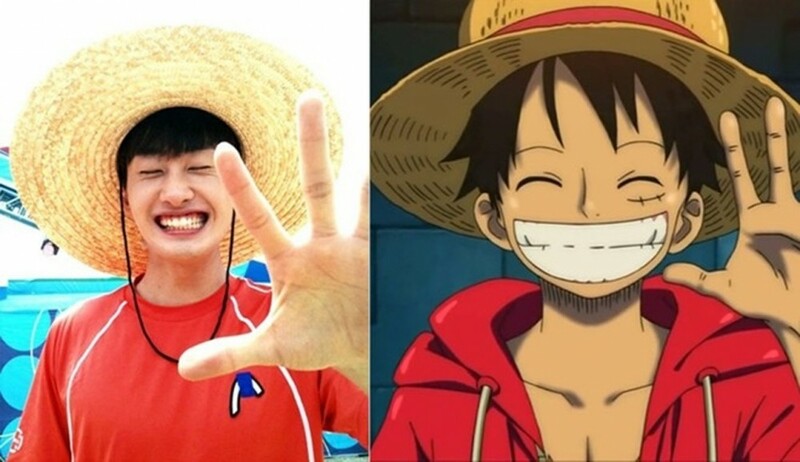 Plus One Piece is Eunhyuk's favorite anime so it's pretty much a perfect match. Not only does G-Dragon look pretty much like an anime character in "Monster" but the two also shows similar personalities. While both are well respected, they both carry a sense of quiet mystery to them and tend to be misunderstood. Despite both being incredibly attractive men, they still have yet to attain the manly aesthetic but rather carry a bubbly and energetic personality that can't help but attract people's attention. Both pairs are identical twins that are hard to distinguish. They even have the same pink and blue hair. While their fictional counterparts seem to be more mischievous, both sets of twin carry the same reliance on one another and mysterious brotherly love. They're both incredibly beautiful and incredibly majestic. Enough said. Not only do the two look similar but they two share a common silly personality. For Daesung, his humor comes out when other people are around and for Brock, it's when the ladies are around. The two also definitely know how to attract attention and take good care of the things they care about. Back when Kris has the same blonde hair they look almost identical. But not just that they have the same cool and charismatic charm that makes it difficult to look away. The two are incredibly clumsy leaders that tend to fall apart quicker than the things they break. However, when it really comes to it, they both prove to be reliable and lovable leaders! Taeyong is a living anime character himself but if he were to be a character from an actual anime, he most resembles Ken Kaneki from Tokyo Ghoul.